Last night, Maris Racal had a Q&A with her fans on her Instagram Stories. 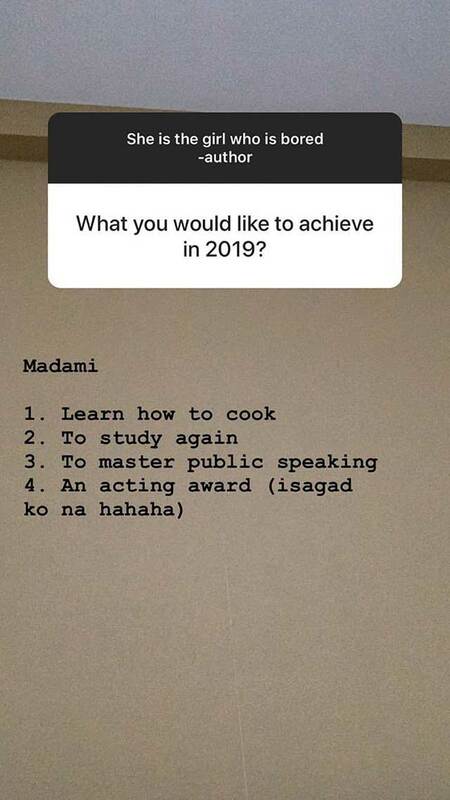 When one netizen asked her, "What would you like to achieve in 2019," she answered: "Learn how to cook, study again, to master public speaking, an acting award (isagad ko na hahaha)." She posted her Christmas wish list, too! 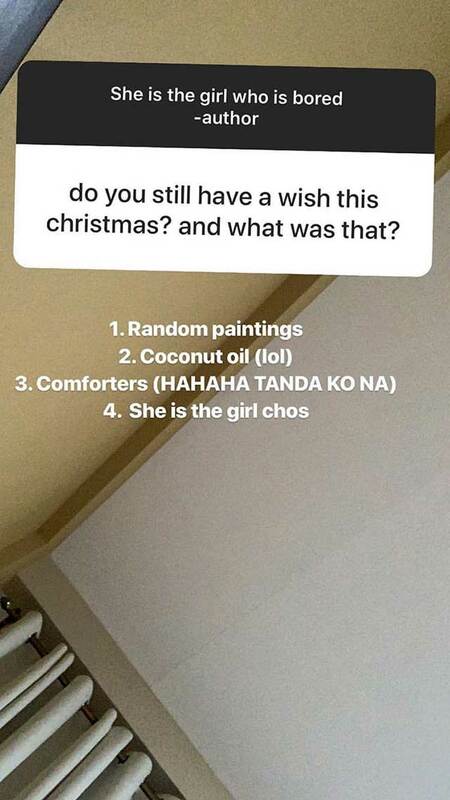 Among the gifts she wants this holiday season are "random paintings" and "comforters." 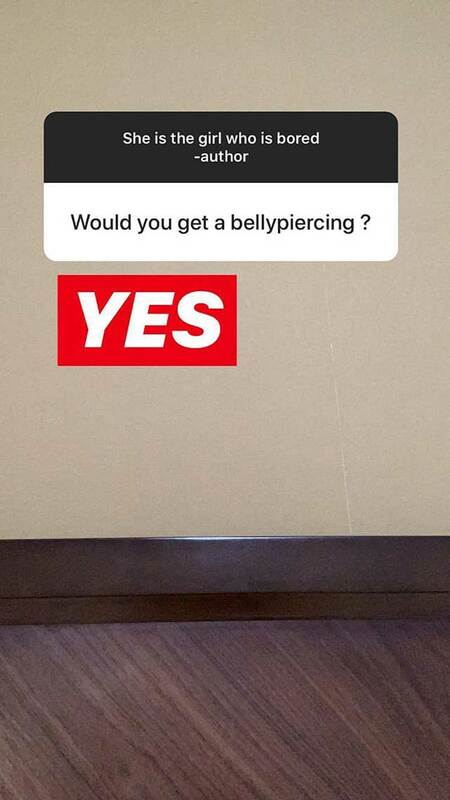 Another interesting tidbit from her Q&A was that she would like to get a ~*belly piercing*~! We're definitely keeping an eye out for this one! EB Advance, the premium line of Ever Bilena, revealed their newest campaign called "Next Level You." 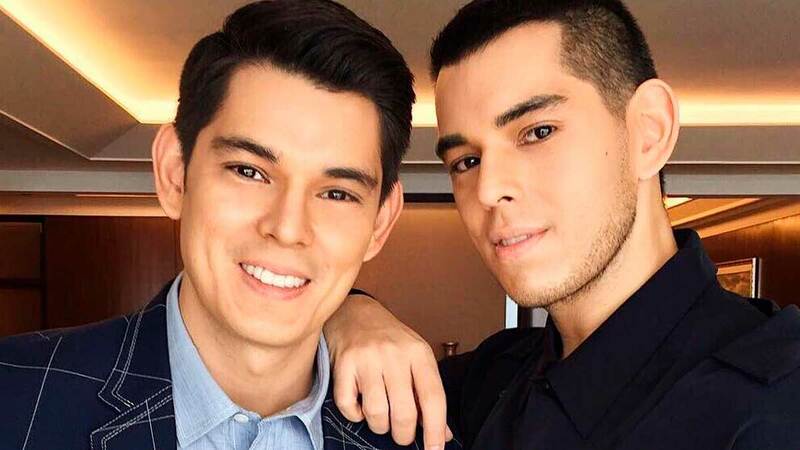 It features Glaiza de Castro and Max Collins confidently sporting various makeup looks, putting a spotlight on the strengths of a modern Filipina. With a full range of quality, trendy, and affordable makeup, EB Advance seeks to empower and embolden Pinays by giving them the chance to show off stronger, empowered versions of themselves. Yas, queen! With Christmas and New Year's just around the corner, M Bakery created special holiday desserts for this month! According to Pastry Chef Candy Lu, "These new decadent flavors of our freshly baked classic American desserts will surely add a more jovial touch to this season's celebrations." Their Christmas specials include new cupcake flavors such as Winter Spice, Red Velvet, Chocolate Dipped Strawberry, and Chocolate Peppermint. They also have new cake flavors like the Sno-cap, Pistachio, and Harvest Apple! According to a 2018 Year in Review report, the Philippines took the 10th spot for largest daily traffic to Pornhub this year. If we're only talking about Asian countries, it rose up to the 3rd spot. The Philippines ranked as number one when it comes to the longest time spent on the website, averaging at 13 minutes and 50 seconds/visit.